Welcome to the IAF US Region's webpages. In these pages you find an overview of the US Region's history, a description of the upcoming activities occurring in the US Region, and a run down about the US Region's chapters and events. The United States has a special place in the history of the Association, as the IAF was officially founded in January 1994 at a meeting in Alexandria, Virginia with 73 charter members. The organisation beginnings can be traced to gatherings of facilitators of the Institute of Cultural Affairs (ICA) who met to advance innovative methods for working with groups. Gatherings took place in Dallas, Pittsburg, New Orleans, Minneapolis, Phoenix, Chicago, and finally in Alexandria, Virginia, where an "Association Coordinating Team" was struck and a celebration was held to herald the beginnings of the IAF. Within the year, bylaws were drafted, the Association was incorporated in Minnesota, and dues were collected. The first IAF annual conference was held in January 1995 in Denver, Colorado, under the theme of The Art and Mastery of Facilitation. 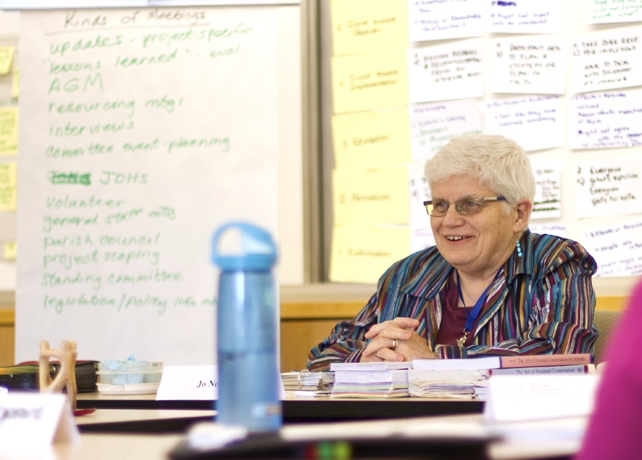 Today there are over 350 IAF members in the United States, two IAF sponsored chapters in Chicago and New York City, and a number of non IAF sponsored facilitation associations made up in part of IAF members that include the Boise Facilitator Roundtable, the Boston Facilitators Roundtable, the Mid Atlantic Facilitation Association, and the Southeast Association of Facilitation. For more information about the IAF in the United States, please contact Jonathan M. Bell, Regional Director, USA. IAF Founding member Jo Nelson (2014). The next IAF US Region Virtual Meeting will be July 25th at 1:30pm PDT, 4:30pm EDT. The program will feature Gilbert Brenson Lazan’s presentation on “Facilitating with Positive Psychology”. Gilbert Brenson Lazan is a Social Psychologist with forty years of teaching, facilitation and coaching experience in the Americas and in 13 other countries. He is author of 34 books and texts, and has presented in over 40 international professional conferences. Professor Lazan is Founding Partner of Amauta International, LLC, organization dedicated to optimizing wisdom, efficacy and resilience with top management teams in the Americas, through the facilitation of meaningful conversations. He was a founding member and President of Global Facilitators Serving Communities (GFSC) and is an Honorary Member of the Asociación Latinoamericano de Facilitadores-ALFA. A seventeen-year member of the International Association of Facilitators (IAF), he was past International Vice-Chair and received the 1999 IAF Global Stewardship Award, the 2010 IAF Community Outreach Award, and was inducted into the first IAF Facilitators Hall of Fame in 2014. He dedicates his spare time to outdoor photography with his wife, Parcia Sansary Gómez, five sons and 10 grandchildren. Donald Kerper, the IAF US Representative will also provide an update on some of the activities going on in the region as well as the world. US Members, please look for an email that will allow you to register for free to this program. 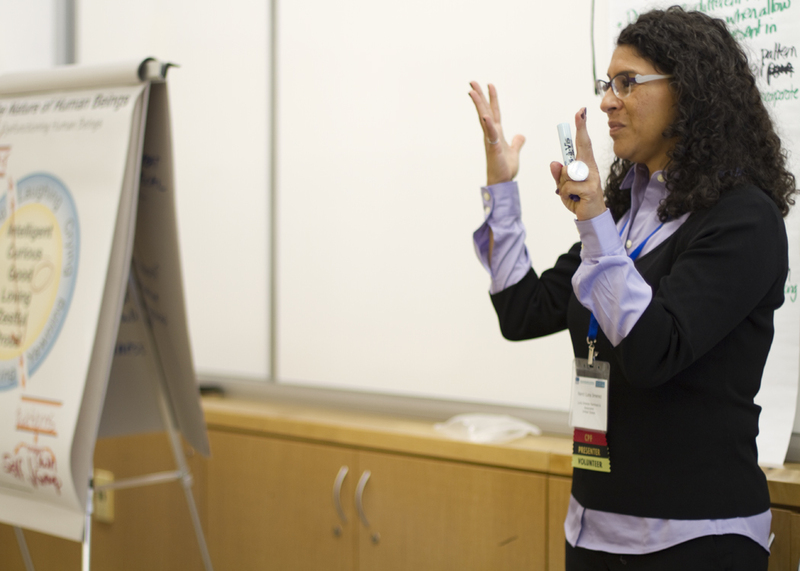 Other Certified ™ Professional Facilitator assessment event dates and locations sponsored by other regions are found in the CPF section of this website.